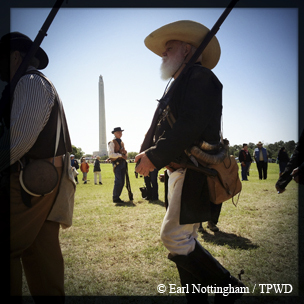 Re-enactors bring the past to life. 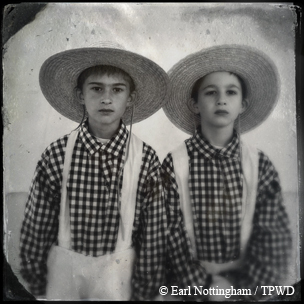 ﻿﻿﻿They come from all walks of modern life but share a common purpose: bringing history to life. 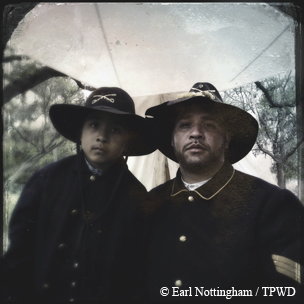 Representing the soldiers and family members from the defining moments of Texas history, re-enactors don the trappings and channel the personas of individuals long since gone to give our current generation a look at what life was like during the tumultuous birth and evolution of this state. 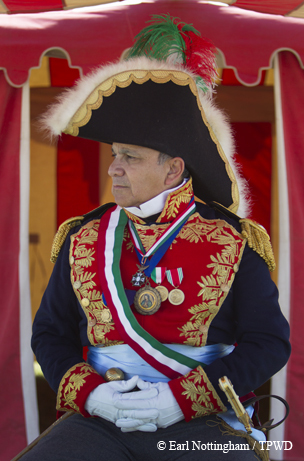 In front of large weekend crowds at historically significant sites, the percussion of cannons, flintlocks and ships’ guns punctuates the portrayal of the bloody price paid by soldiers and citizens throughout the conflicts and generations that created and preserved the state of Texas as we know it today. Their campfires, tents and settler homes become time machines by which we can see remnants of a rugged and unforgiving day-to-day life. But who are these re-enactors? Why would an adult (or child) take time to pursue a historical alter-ego? The answer seems to be unanimous — because it’s fun and educational. James Glover, a living history re-enactor for more than 35 years, sums it up: “It’s like a big, traveling family where you can wear period ‘drag’ and just have fun.” James and his wife, Linley, and son Jesse frequently attend events around the state. 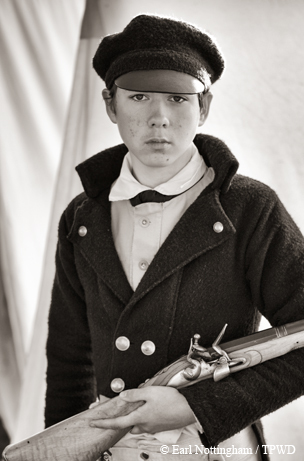 Look into the faces — and lives — of living history re-enactors. The Texian army prepares to battle Mexican General Santa Anna at San Jacinto.